The B2B world has been talking about account-based marketing (ABM) for a while now, and many of the industry’s more forward-thinking companies are already on board. According to eMarketer, 80 percent of B2B marketers say they have an ABM strategy in place or plan to launch one in the next 18 months. Even so, most practitioners are still new to the craft — testing tactics and learning what works best. 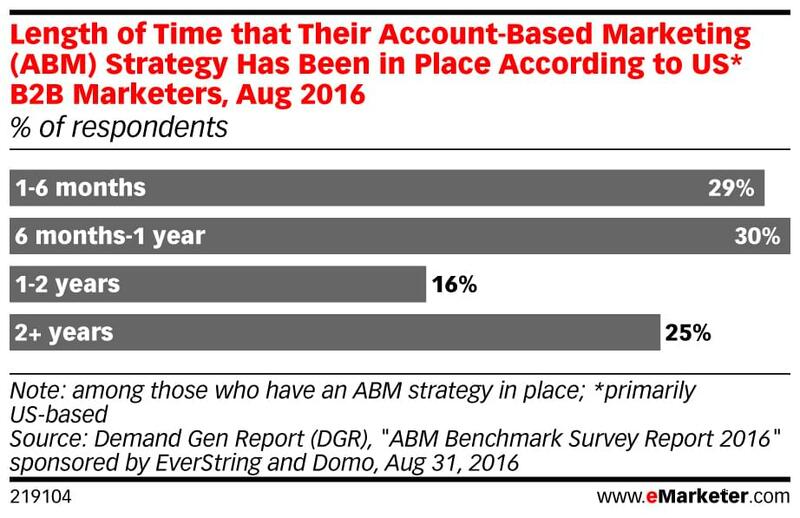 The same study found that 59 percent of marketers have only been using account-based strategies for a year or less. If you’re new to the concept or intimidated by the idea of launching your own campaign, you’re in good company. Don’t let that keep you from trying ABM, or at the very least, entertaining some of the theories behind it. 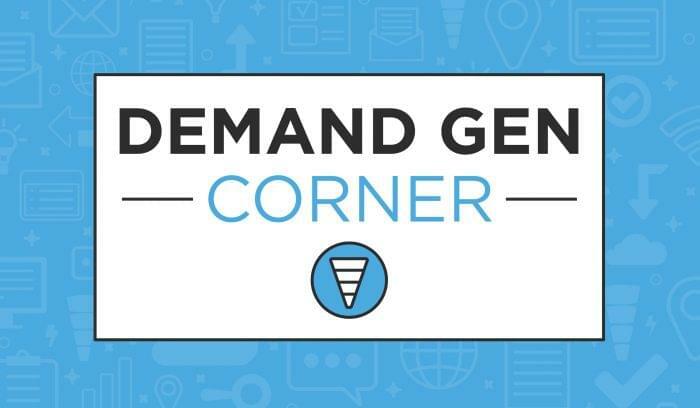 In this second installment of our Demand Gen Corner Blog Series, we’ll explore the differences between traditional lead gen and ABM, available software tools on the market, and best practices for building your strategy. To add some perspective to this piece, we sat down with Sangram Vajre — CMO of Terminus and veritable Godfather of ABM. 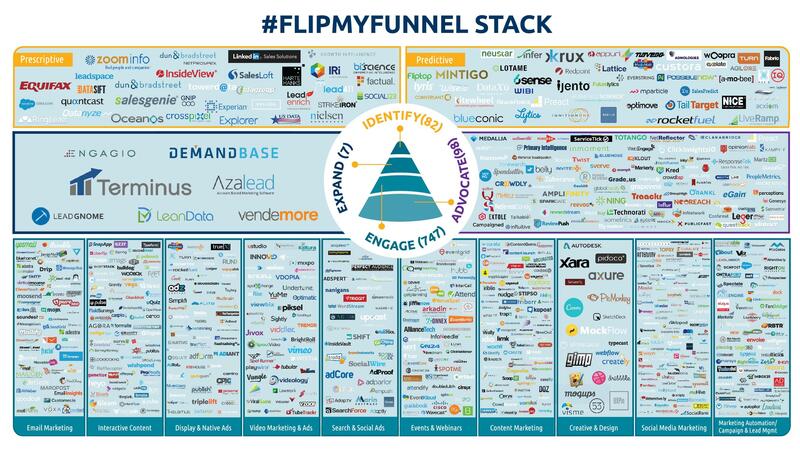 Sangram is also widely known for his leadership of the revolutionary #FlipMyFunnel movement, which suggests, as it sounds, that marketers should flip the purchase funnel upside down. Before you start sending pajamagrams to to your big-fish accounts, it’s important to understand why ABM is useful and what advantages is offers over traditional lead gen. At the most basic level, ABM acknowledges that important purchase decisions are made by groups of stakeholders with conflicting priorities, so the sales process shouldn’t be a broad effort to attract and convert thousands of individual leads. According to CEB, the average B2B purchase involves 5.4 decision-makers. If you look at a traditional purchase funnel, its tragic flaw is apparent: marketing teams spend a lot of money on campaigns that attract a high volume of leads, but by the end of the process, only a select few convert. 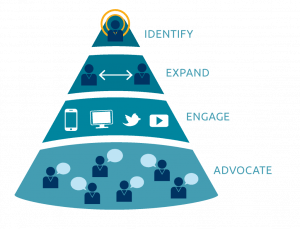 The account-based approach addresses this problem by starting small, identifying specific target accounts and decision-influencers within those accounts, then building consensus among the buying group through personalized campaigns and outreach. Hence, the “flipped funnel” model. Is this approach positioned to replace traditional lead generation completely? The answer is complicated, but Sangram says yes. “In SiriusDecisions’ 2016 State of Account Based Marketing (ABM) Study, 27 percent of respondents said they were devoting between 11 percent and 30 percent of their total marketing budget to ABM,” he says. 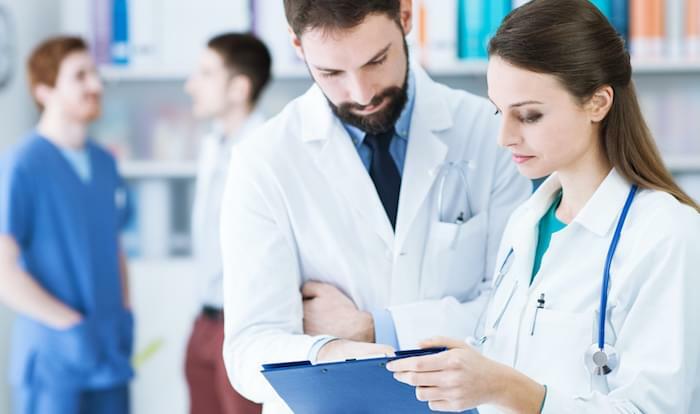 “This metric was up from 19 percent in 2015. ABM is getting back to the roots of what B2B marketing is supposed to be. “To do ABM, start with Identify,” he says. “Look at your existing customer base to define your ideal customer profile (ICP). Knowing who your best-fit customer accounts are will help your marketing team to decide what types of companies you want to go after. Like many other categories of “martech” the ABM software category has exploded in recent years. In part, this new wave of technology has been responsible for bringing marketers in the loop on account strategies. Even with a cutting-edge software stack, account-based marketing is nothing without a carefully-crafted strategy. The same way that traditional lead generation uses individual buyer personas to drive content and campaigns, account-based marketing uses an ideal customer profile (ICP). 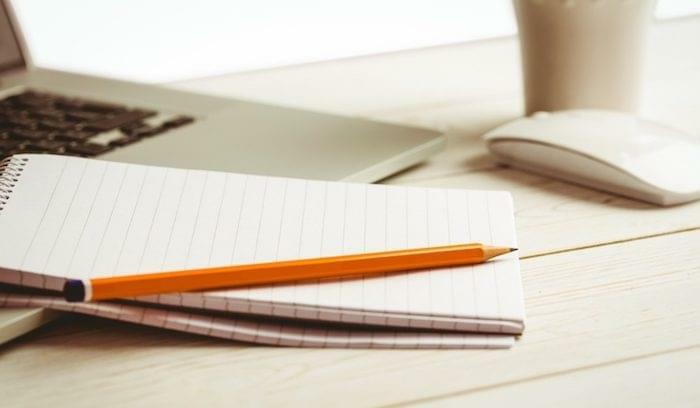 Your ICP should describe the characteristics of accounts that would be a good fit for your product or service. Try to base this profile on your current customer list, using the data in your CRM software. Role: What responsibilities or job functions does your solution target? The titles of the people in the account using your solution is especially important for the ICP as you move on to build personas. You may also want to include geographic location (depending on your product) and technographics (what solutions does the account currently have in place) in your ideal customer profile. All of these attributes dictate an account’s lifetime value potential, so they should directly inform the way your marketing and sales teams prioritize campaigns — ideally, to target the biggest opportunities first. Some ABM platforms may even include their own prospecting component to help you identify decision-makers/influencers and map out buying groups faster. As you learn more about ABM, you may think, “This sounds great, but it’ll never scale,” which is another way of saying ABM sounds super complicated and expensive. That may be true, but it’s also very effective. 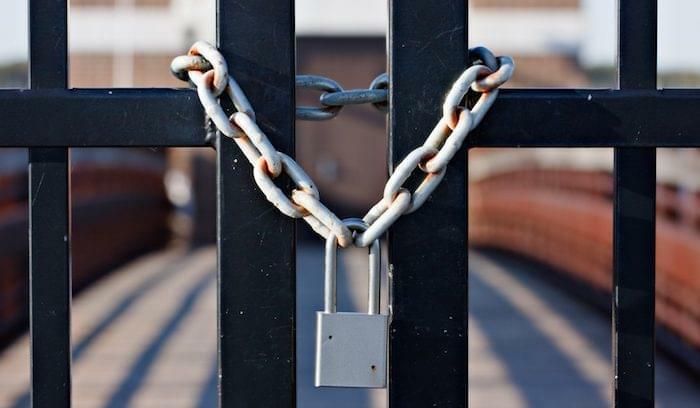 A recent Demandbase study found that ABM close rates for targeted enterprise accounts were 285 percent higher, versus traditional tactics. “Lead generation did a good job of trying to find new leads across a variety of sources,” Sangram says. “What’s different for ABM is that it opens up these same channels in one, coordinated program. If you’re interested in learning more about building and launching an actual ABM campaign, download our free e-book below. You’ll learn everything you need to know about building your technology stack, identifying target accounts, and planning specific tactics that successfully engage the buying group. In our next Demand Gen Corner piece, we’ll take a closer look another incredibly effective B2B strategy: event marketing. Stay tuned each week for new installments that provide practical advice and strategies from industry leaders. Learn how to generate qualified leads and convert more new business.